NO DIAL TONE is one of the common issue, before complaining to Etisalat please check following things because if there is any fault in your side, else you will receive 50 - 250 AED charge if fault is from your side. Check the lights on the ONT (the Etisalat fiber optic box). If there is no light in the ONT or if there is only power light or if there is red light on OPTICAL/LOS indicator or if OPTICAL/ PON/ LINK/ WAN/CONFIG indicator is blinking, then please TURN OFF AND TURN ON the ONT and wait for 3 minute. If still there is same issue as describe before, you must register your complaint by calling 101. They will send their engineers to fix the problem. If ONT lights are normal (internet and iptv are working fine), then please dial your landline number from mobile. Your telephone set is arranged properly. Check for telephone set manual also if you are not sure. If you have cordless set then check whether the power is provided or not or it charging or not. 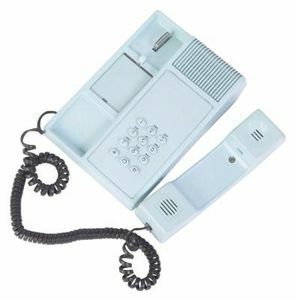 Your telephone set should be in good condition, no outdated battery should be there. There may be no dial tone if there is technical problem in ONT or from service provider. If OPTICAL/ PON/ LINK/ WAN/ CONFIG indicator is blinking. In both previous cases, try to turn off and turn on again. Wait 3 to 4 minutes so that ONT will operate itself. Repeat one more time if the problem is still the same call customer service center and register your complaint.